Add a little extra style to your child's wardrobe every month. Get access to the Exclusive Shop available ONLY to Whimsical Woolies subscribers. Take advantage of early access to new release items. Each month you'll get a necklace created with seasonal & holiday trends in mind. 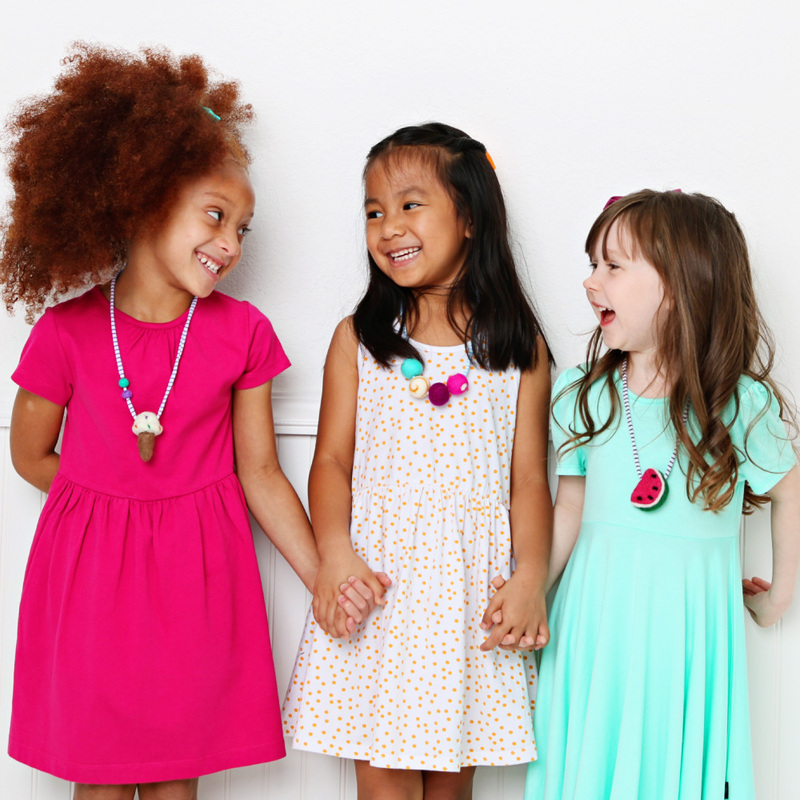 We know your little one will love pairing our necklaces with their everyday outfits. The subscription is month-to-month and can be canceled at any time. These charm necklaces add the perfect touch to your little one's day to day outfits!! Subscribe to have your exclusive necklace sent to you each month. Each charm is strung on a soft jersey cord and tied at the top. Slips easily over your child's head! Measures 24" in length before tying string. These felt ball necklaces add the perfect touch to your little one's day to day outfits!! Subscribe to have your exclusive necklace sent to you each month. Each felt ball is strung on a soft jersey cord and tied at the top. Slips easily over your child's head! Measures 24" in length before tying string. We've put together a list of frequently asked questions to help address any concerns you may have. If you have any additional questions, email us at thewhimsicalwoolies@gmail.com.